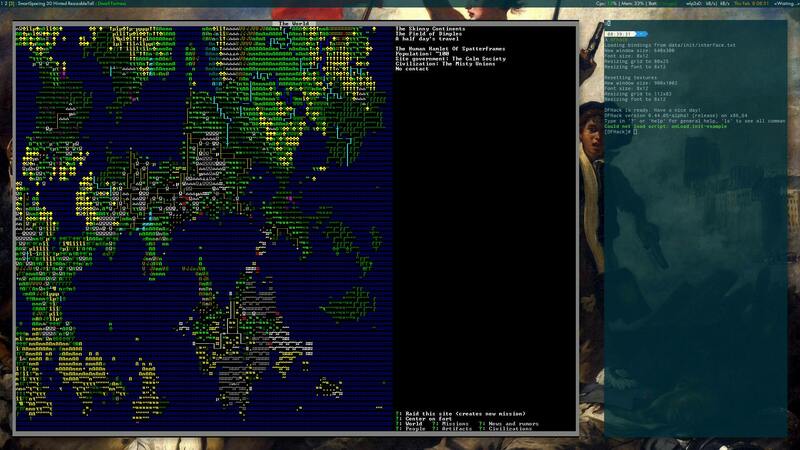 Hi, I'm wondering why, on my civ screen, there are question marks where there should be hotkey options. I have looked up the hotkeys on the wiki but they don't work at all here anyways. Is there a fix for this? I punched a hamsterwoman in the mouth and her teeth exploded out of his head like gory shrapnel and littered the ground. Happy Valentines Day. Raws not been updated with up to date key bindings. Usually caused by using a pack with out of date graphics or tilesets. Just copy over keybindings file from a vanilla copy of 44.05 to solve.